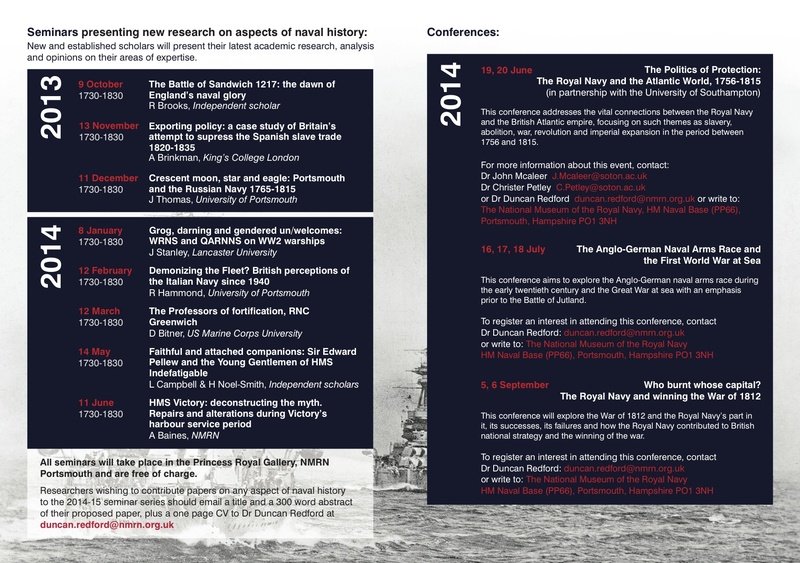 The new National Museum of the Royal Navy seminar series kicks off this month and Heather and I are delighted to be included in the programme. We’ll be presenting an overview of our research on the 14th of May 2014, titled Faithful and attached companions: Sir Edward Pellew and the Young Gentlemen of HMS Indefatigable. The seminar series opens next Wednesday 9th October with a presentation on The Battle of Sandwich 1217: the dawn of England’s naval glory by independent scholar R. Brooks. The full programme for the series is available below.